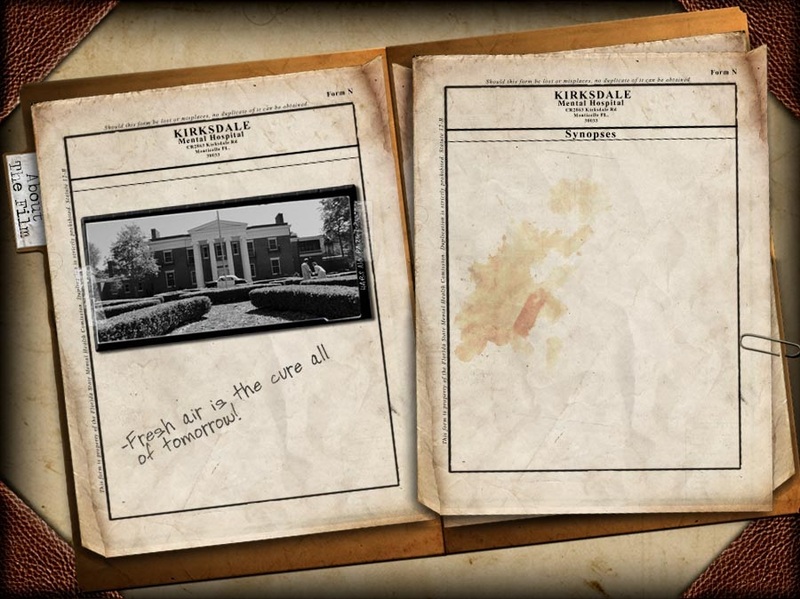 AICN HORROR: Looks at short film scares with KIRKSDALE! 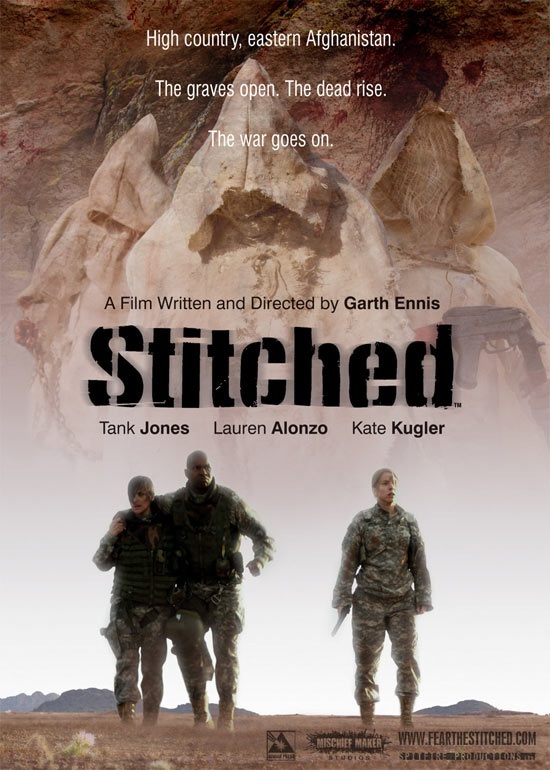 GARTH ENNIS’ STITCHED! THE MONKEY’S PAW! HOLD THE MAYO! FAMILIAR! STEPHEN KING’S SURVIVOR TYPE! Logo by Kristian Horn	What the &#$% is ZOMBIES & SHARKS? Greetings, all. Ambush Bug here with another AICN HORROR: ZOMBIES & SHARKS column. Any self respecting horror fan will tell you, it’s not the size of the scare that matters; it’s the amount of shocks you can cram in. And before I get too gross with the innuendo, let’s get going with this special column dedicated to horror short films. Lately, I had a plentiful amount of tips on cool horror shorts sent my way and maybe this will become a regular feature here at AICN HORROR. All I know is that this crop of horror shorts may be dinky in stature, but they sure are big in scares. Enjoy! Find out more about this short here! Probably one of my favorite short stories by Stephen King, SURVIVOR TYPE is a story that is an extremely difficult film to get right. The short story is a series of journal entries from a man stranded on a desert island. It’s a descent into madness tale, sort of the evil doppelganger of Tom Hanks’ CAST AWAY that I always found to be both terrifying and nauseating in the effectiveness of King’s description of the chipping away of the man’s mind as well as the description of his body slowly falling apart from exposure and a particularly gruesome accident suffered on the island. Directed by Chris Ethridge, SURVIVOR TYPE the short film does King’s short story proud. It hits all of the right beats of the story and does a great job of showing one man’s slow fall into utter insanity. Though some of the acting is a bit amateur and some of the effects are not the best, the story is still solidly put together and the gruesome ending still packs a whallop. I wish the director would have stayed on the island more, relying on more narration as if the man was reading from his journal, but the story that unfolded will make you wince and scream more than once at the grueling events that happen to this desperate shipwrecked man. SURVIVOR TYPE is a worthy translation of King’s short and no fan of the King’s work should miss it. 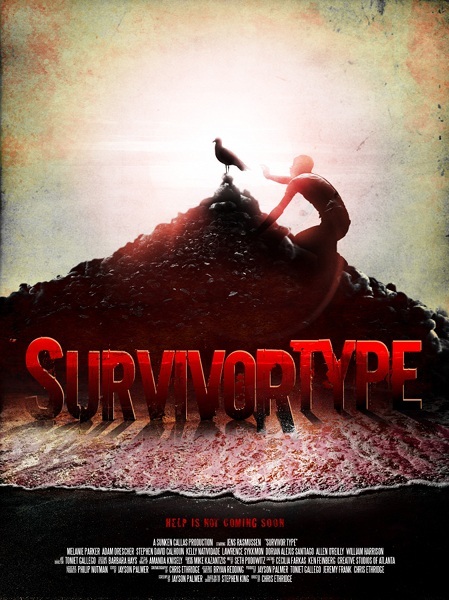 Survivor Type Trailer from Sunken Callas Productions on Vimeo. Written and directed by Ricky Lewis Jr.
Find out more info on the short film and where to see it here. I loved this little short. Yes, it’s a tale often told, but never through the visionary eye of Ricky Lewis Jr. Lewis mixes animation with real life to make a vivid interpretation of THE MONKEY’S PAW like I’ve never seen before. After receiving a monkey’s paw from a lodger, a couple finds that the magical totem grants them three wishes, but the wishes don’t turn out to be exactly what they wish for. What plays out is part morality tale, part drama, and all gorgeous. Quirky and fun with shades of Tim Burton-esque art design and melancholy, THE MONKEY’S PAW is a little gem that is a feast for the eyes, despite it’s short film length. The Monkey's Paw (trailer) from Ricky Lewis Jr on Vimeo. This was an absolute gem of a short film. A young girl is being transported to a mental institution. When the officer notices something is amiss with the institution once he enters the grounds, he finds out too late that the inmates have overcome the asylum. Writer/director Ryan Spindell does a fantastic job of making KIRKSDALE (the name of the asylum) a slow burn with looming tension with a hugely batshit payoff. The effects are nice and gory and the overwhelming sense of unease is palpable from the first frame. KIRKSDALE is a treat of a film worth your attention if and when it plays near you. This short film had me rolling. HOLD THE MAYO is an exceptionally well made little film clocking in at around 5 minutes long. Director / writer Jeffrey Williams does a fantastic job with a simple concept. The setting is a mundane sandwich shop filled with impatient patrons and an overwhelmed fry cook. It’s a scene we see every day at lunch time when everyone only has a scant few moments to fill their gob before returning to their desks. But on this day, with one particular order, the fry cook makes a mistake that may cost him his life. The less revealed the better about the final moments of HOLD THE MAYO. Let’s just say things get extremely serious and bloody by the end of the story. Stars Damian Samuels and Saul Herckis do fantastic jobs in their roles as cook and patron, taking the ludicrous events in the end seriously without so much as a wink or nod to the camera. Though things get campy over the closing credits, HOLD THE MAYO is definitely one of those devious little films that outshine a lot of the dull full length horrors out there. Follow where and when to see HOLD THE MAYO here and here! This little short deserves an audience! Hold The Mayo - teaser trailer from Jeffrey Williams on Vimeo. Find out more info on the short film and how to order it here. Being a fan of Garth Ennis comics, I was rooting for his first foray into directing would be a success. Turns out, not so much. This Afghan zombies vs military short was filled with clunky acting and unsuspenseful scenes of the shambling dead ever-so-slowly creeping up on our wounded trio of stars. Ennis’ forte is horror and military fiction. He’s written some of the most bone chillingly horrific tales of modern horror and also written some of the most heart wrenching tales of military valor. None of that passion for either genre is present here. Instead it’s just kind of plain and soulless as if Ennis forgets all of the passion he injects into his stories due to the double duty as director and writer. 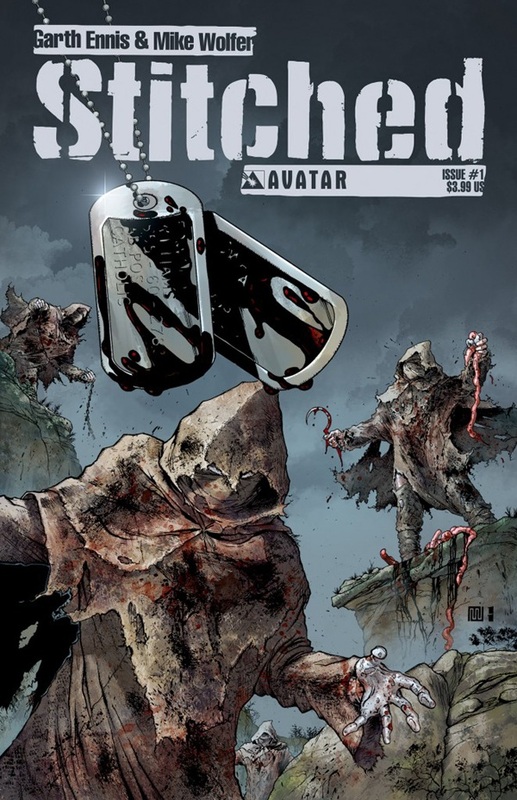 I will say that this short films serves as a nice little teaser for the upcoming stitched miniseries written by Ennis with art by Mike Wolfer. As I said, thought the short didn’t really make my hair stand on end, I’m confident with Ennis back in a role he’s most comfortable, he’ll be delivering his usual stellar work. 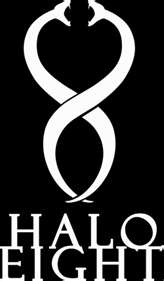 Find out more info on the short film and how to check it out here and on its Facebook page here! Robert Nolan plays Dodd, a man who hates his life. He loathes his wife. He’s unimpressed by his kid. And now it seems as if something is growing inside of him. Soon, Dodd is hearing voices from the mysterious lump which is telling him to make some drastic changes to his life. Is Dodd having a midlife crisis? Is he going insane? Or is there something really lurking under Dodd’s flesh? All of these questions are revealed in this slow burner which ends with 3rd degree scorches. And lots and lots of blood. I can’t recommend FAMILIAR enough. Find out how to check out this short here. It’s a gory short that packs a visceral wallop harder than five fill length features. 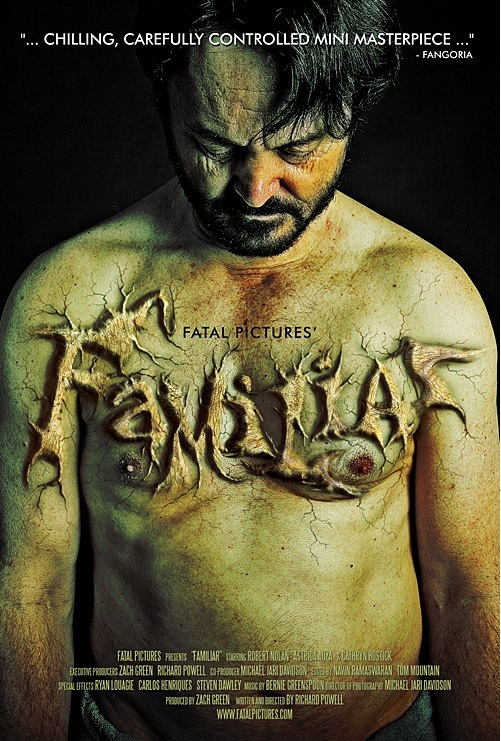 FATAL PICTURES presents FAMILIAR (2011) from Zach Green on Vimeo. See ya next time, folks! Ambush Bug is Mark L. Miller, original @$$Hole / wordslinger / reviewer / co-editor of AICN Comics for over nine years. 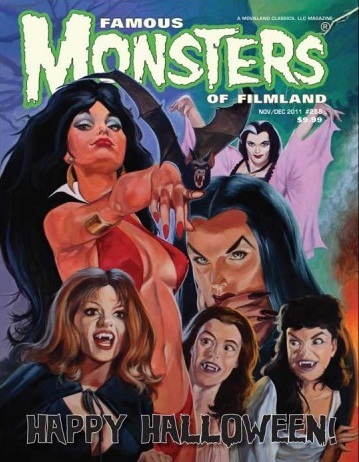 Mark is also a regular writer for FAMOUS MONSTERS OF FILMLAND and will be releasing FAMOUS MONSTERS first ever comic book miniseries LUNA in October (co-written by Martin Fisher with art by Tim Rees) You can pre-order it here! Support a Bug by checking out his comics (click on the covers to purchase)! Looking for obscure, foreign, or hard to find DVDs & BluRays? 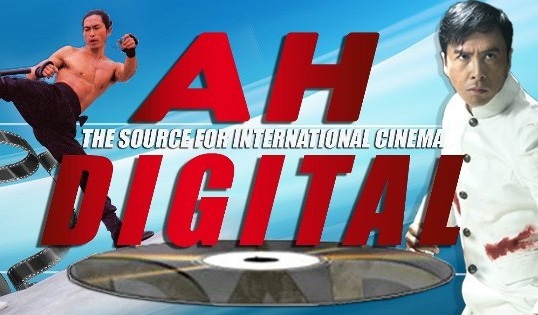 Check out AH Digital: the source for international cinema!